Preventive dentistry is actually the practice of protecting or caring for your teeth to keep them clean and healthy. This helps to avoid gum diseases, cavities, enamel wear and more. Dental cleanings, brushing at least twice each day and daily flossing are integral components of preventive dentistry. The Ontario Dental Association recommends people to visit the dentist at regular intervals determined by your dentist in order to maintain optimal oral health. By seeing your dentist regularly, you can be sure that teeth, gums and bone will remain strong and clean. At an early stage, children should be taught the importance of brushing, flossing and seeing the dentist regularly. The best practices to keep your teeth healthy and clean are as follows. By taking all these steps, you will go a long way towards making sure that you have healthy teeth for life. Floss daily– Daily flossing is recommended to all people. It helps to clean the tight spaces between the teeth, and especially when you have braces, it allows those areas that collect debris to be cleaned out and to remain healthy. People wearing metal braces will need to pay extra attention to keeping their teeth clean, as braces tend to collect food over time. To get the best out of flossing, you must be sure that you are doing it in the right way. 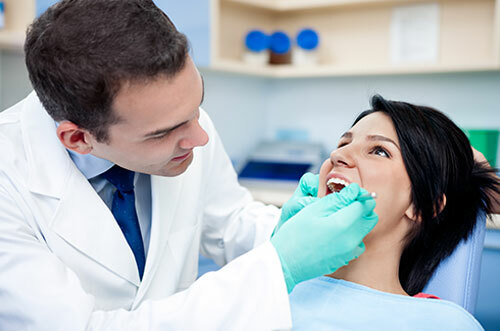 At Albion Dental office, all our hygienists make oral care instruction first priority: they will give you a detailed demonstration on how to benefit from flossing, and how to do it effectively. Brush your teeth every day– It is one of the cornerstones of maintaining healthy teeth for life. You must brush your teeth twice every day with fluoridated toothpaste. As the bristles of any toothbrush start to fray after prolonged usage, most people must replace their toothbrushes at least twice every year. Eat a balanced diet– By providing the teeth with the nutrients they require, eating a balanced diet is very important in maintaining good oral health. Keep in mind that sugar intake, as well as carbohydrates that break down quickly (such as those found in white bread) should be moderated in a healthy diet. In the absence of regular brushing and flossing, these foods can negatively impact the health of your teeth. Drink plenty of water throughout the day. Vitamins are also important; and by eating a varied diet, you can be sure that you will remain in balance. By following these guidelines, you will be on your way to maintaining that good smile of yours for a lifetime. Children in particular greatly benefit from preventive dentistry, as it allows their newly developing permanent teeth to come in healthy and strong. Topical fluoride treatments and dental sealants help prevent developing plaque and decay in children’s teeth. Adults will also benefit from preventive dentistry as it helps to keep your teeth healthy and strong. You can reduce the risk of getting periodontitis, decay, gingivitis, and other dental issues with good oral hygiene. Secondary problems which can be caused by poor oral health can also be reduced. There has been a long-standing belief of a strong correlation between good oral health and a decreased risk for heart disease. Low birth weight and premature birth can also be linked to poor oral health. If you are pregnant, it is to your benefit to visit a dentist frequently for checkups to ensure that you in good oral health. If you have any questions about how preventive dentistry can help you live a healthier life, schedule a consult with Albion Dental Office by calling (416) 749-9732, and Dr. Trotti will happy to speak with you and answer any questions you may have.